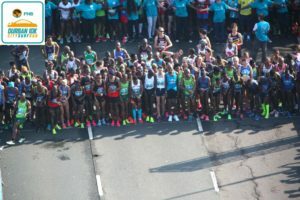 Over the past couple of years South African athletics visibility has not only improved in track and field, but also on the road, both with improved performances by athletes, and perhaps more importantly, with the growth in international level road events. 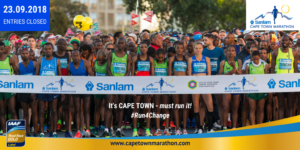 Races such as the Sanlam Cape town Marathon, the FNB City Series, that have or soon may have IAAF Label status, together with the AIMS status of the Mandela Marathon, and Maritzburg Marathon are joining and even exceeding global interest in road running in South Africa. For decades Comrades and Two oceans have dominated the broadcast figures in sport and road running, but the fact is that to be a Gold Label in 2018 the Cape Town Marathon had to have a ‘broadcast’ into 5 territories. Suddenly we are comparing a mere 3 Million national viewership in Comrades with the potential viewership, and hence sponsorship potential, of a global audience. If you doubt that potential, consider how many of us watched an Amsterdam, London, Berlin or New York marathon this year on television? The international viewership of an IAAF Gold, or even some bronze label, is considerably bigger than Comrades, which is why they are more attractive for corporate support. As more, and higher ranked, international runners participate in our SA events, so too does the potential for sponsors and as does the rewards, incentives and prize money for the athletes. Although Comrades and Oceans will not lose the passion of local viewers, (and sponsors), the growth and finance will be in events that attract more global audiences. However, competing in the international level means abiding by International rules, which is why there have been significant changes to the 2019 ASA rules, which not only aligns us with the rest of the world, but brings greater recognition (and eventually reward) to the ambitious runner. 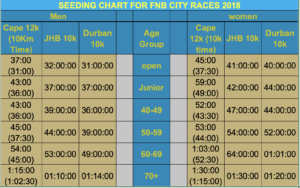 Any race that has AIMS membership, IAAF Label, IAU label, events offering more than R500,000 in total prize money and races on the National Fixture list that have an elite / professional seeding batch will require these athletes to abide by the IAAF branding and advertising rules. Although the detail is contained in IAAF Rules 8 and 143, in practical terms this means that those corporate vests with the 40mm high branding cannot be used by those runners who are competing for prizes. 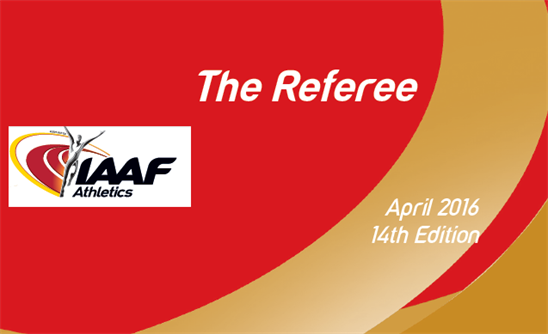 However, the guidance given to Technical Officials in IAAF Rule 100, means that the majority of runners will line up a few metres behind the elite, and continue as normal. In large events, for instance, the mass runners will focus on mat to mat times, enjoyment, and the freedom to run for their own best time. Rule 100 advises officials to be less critical in application of technical rules for participants. By example, it is unlikely that an official would be concerned about pacing amongst the masses. This move assists ALL runners. Normal weekly club races, with a few hundred or thousand runners and low prize money are unaffected, but the recommendation is that any race with more than 6000 runners should apply to be on the national list, and initiate a Elite / Seeding system, which should also include those with good for age times that see them competing for the podium. Those in “contention” are placed in the front and able to see who they are competing against. This would typically be less than 100-150 runners even including age groups, and the criteria for being accepted into the contenders would be set out on the entry form or page and based on previous race results. For instance if there are top 10 prizes and 3 in the age group, the criteria is likely to come from the 15th or 20th placed time and the 6th place in the age group in the previous year. This means up and coming athletes will gain the opportunity to rub shoulders with, and compete against, the elite and professional athletes as defined in ASA rule 7. Of course they will share both the same advantages of a seeded start, but similarly have to abide 100% by of the rules 100% of the time. These runners have a quick get away, but then their awards are based on the time from the gun to the finish line. In many cases these athletes gain greater recognition with their names on the front number, and special warm up areas. By comparison the mass of the field can relax and take their time to cross over the mat as the focus for their times will generally be on mat to mat. In large events this is great news as it improves safety at the start. The KEY MESSAGE here is that for each and every entry its important to check if you have a proven performance better than the seeding criteria (normally a table on the entry page or web) then declare yourself as a “contender” (a better name for this block in my opinion), and use the seeded pen, and abide by all rules. If you are not fast enough for that, then line up in the mass and if you want to test your performance, start your watch as you cross the first mat. •	Temporary Licenses can be purchased for any race distance up to and including 42.2km, but not any of the ultras distances. •	Race organisers can only negotiate direct with the Athlete, the provincial federation, or a qualified Athlete’s Representatives who is accredited by IAAF or ASA. This is highlighted as being different from corporate club managers or club chair people, who have specific club roles.